DENMARK: MHI Vestas has taken down the burnt-out V164 9.5MW prototype turbine as part of its investigation into this month's fire. The 9.5MW turbine caught fire on 4 August at a test site in Osterild, Denmark. It was demolished on 15 August as investigators work to establish the root cause of the fire, the manufacturer said. MHI Vestas chief technology officer Torben Hvid Larsen confirmed the demolition had gone according to plans drawn up alongside local and environmental authorities to ensure there would be no long-term impact on the surrounding area. "We looked at many different scenarios with the investigative teams on how best to determine and confirm the root cause of the incident. "We are following the recommendation of the lead investigators who have tremendous expertise in this area and have decided this is the best course of action for the investigation to continue," he said. MHI Vestas has been carrying field tests of the V164-9.5MW at its Osterild site since late last year. The world’s largest capacity turbine had successfully completed power curve and loads measurements, the company had said. A root cause of the fire has not yet been determined. 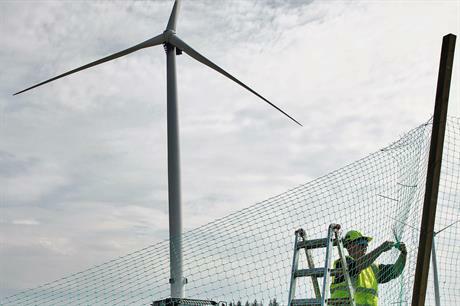 There is no timetable for when the investigation will come to an end, MHI Vestas said.